There were varying reports as to why General Motors decided to keep the current model around for one more year. 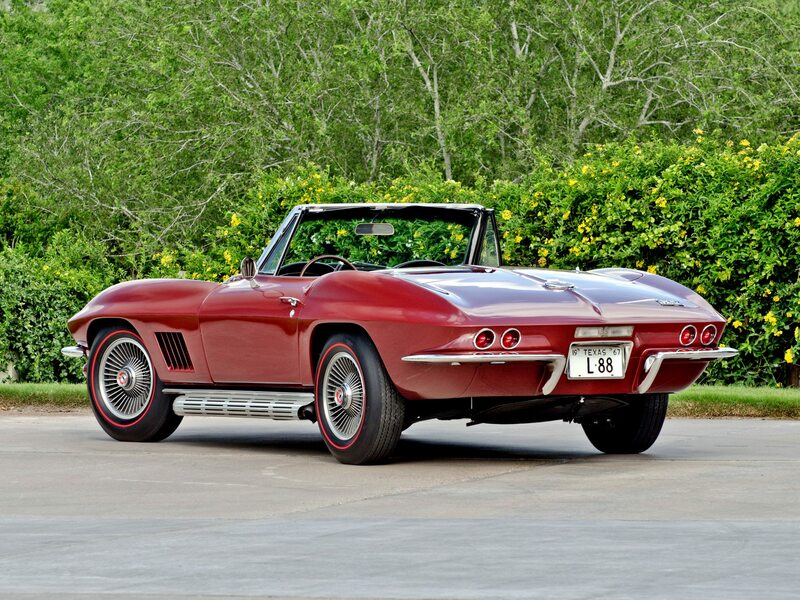 Some speculated that the launch of the C3 was intentionally delayed because Chevrolet had introduced the Camaro to its lineup in 1967.Although many critics and enthusiasts proclaimed that the 1967 Corvette Sting Ray would in fact be the first of an entirely new generation of Corvettes, it turned out that it would actually be the last – and most refined of the C2’s. 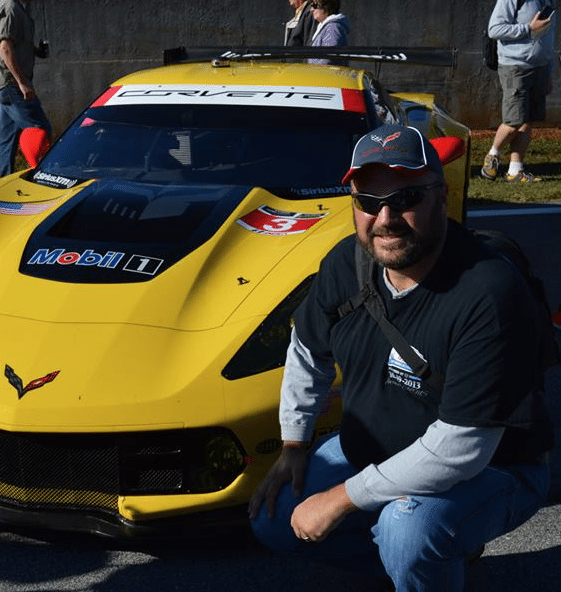 Factually, however, most of it stemmed from the large levels of apprehension about Corvette’s successor, especially centered around issues with undesirable aerodynamics. Zora Arkus-Duntov, who had been directly involved with the development of the second-generation Corvette and was now championing the third-gen, had demanded that more time in the wind tunnel be given to the new Corvette prototype. 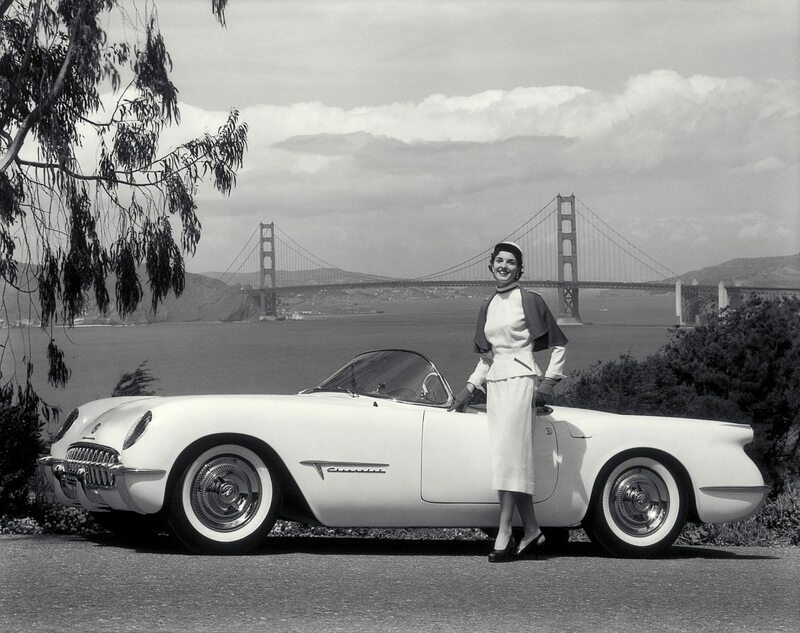 The early results of such testing on the prospective third-generation model had proven that the car had undesirable aerodynamics, an issue Duntov had hoped to clear up well before the new Corvette went into production. 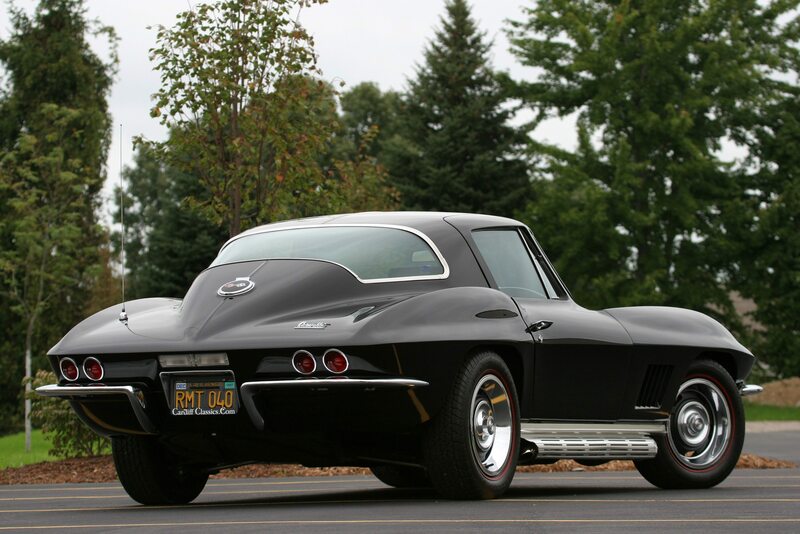 Not surprisingly, the 1967 Corvette proved to be the most sophisticated of all the Sting Ray models. The second-generation Sting Ray had been refined to its evolutionary limits – the result of which was a car that was clearly the best model of its five year run. 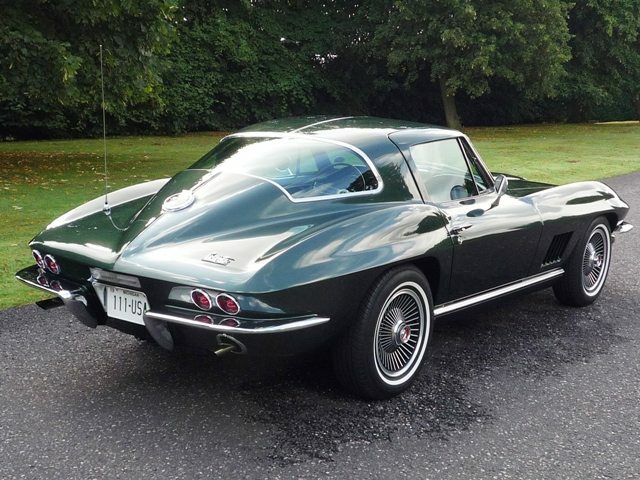 The ‘67’s lines were the cleanest of all the C2’s, though the changes that were made to the Corvette were modest (just as they had been on the 1966 model.) To start, much of the trim (including hood script emblems and fender flags) were removed. The front fenders now featured five smaller air vents in place of the three larger ones that had originally been introduced in 1965. The rocker panels were given a flat finish without any ribbing, which gave the car a lower, smoother outward appearance. In the rear of the car, a new, single backup light was introduced (unique only to the 1967 model) over the license plate. Lastly, the earlier models’ wheel covers were replaced with slotted six-inch Rally wheels with chrome beauty rings and lug nuts that were concealed behind small chrome caps. In truth, the change of wheels was as much a result of safety legislation which required modifying the use of a knock-off wheel to a bolt-on type. 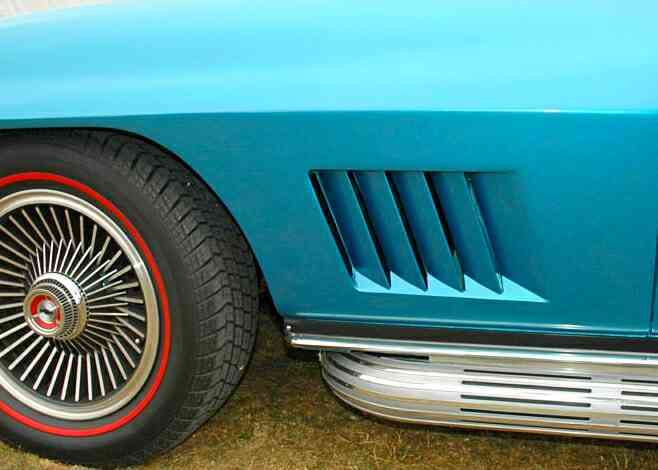 The 1967 Corvette featured five smaller air vents in place of the three larger vents featured on the earlier second-generation Corvettes. Also like the 1966 model, the 1967 only received minor updates to its interior. As with before, the upholstery was revised and the seats were a new design. 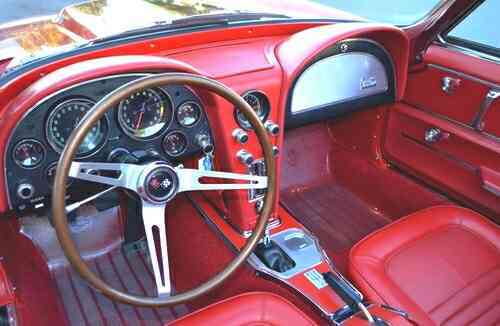 The hand brake (parking brake) was relocated from beneath the dashboard to between the seats – a Corvette first. While the inner doors remained largely the same as before, the lock buttons were moved further forward and an attaching screw was added at the rear. Perhaps the most notable change to the 1967 Corvette’s interior was the removal of the passenger hand-hold above the glovebox, a feature that had been part of the Corvette since 1958. The convertible’s optional hardtop offered with a black vinyl cover, which had been a fad amongst the automotive industry as a whole during that time. The 1967 Sting Ray’s interior received only minor updates for the final year of the second-generation Corvette. 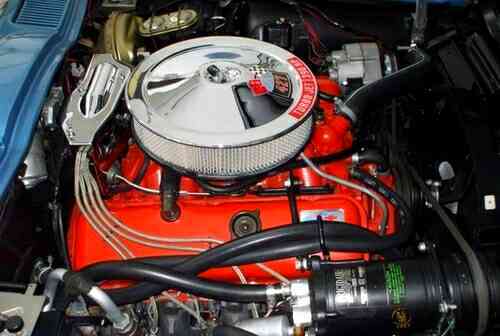 Even fewer changes were made to the ‘67’s powertrain. As with the previous year, the two small-block V-8 engines returned, as did the 390 horsepower big-block, though this last engine was fitted under a redesigned hood scoop. The biggest changes involved the pair of big-block 427 engines, which now produced 400 and 435 brake horsepower respectively, due to the introduction of triple two-barrel carburetors. Like last year’s model, these new 427s differed in compression ratios – 10.25:1 and 11.0:1 respectively. The latter of these two engines, RPO L71, also included optional specialized aluminum heads (instead of cast iron) and larger-diameter exhaust valves like those included in RPO L89. Also as with previous years, the actual (true) horsepower of these behemoths was largely understated. 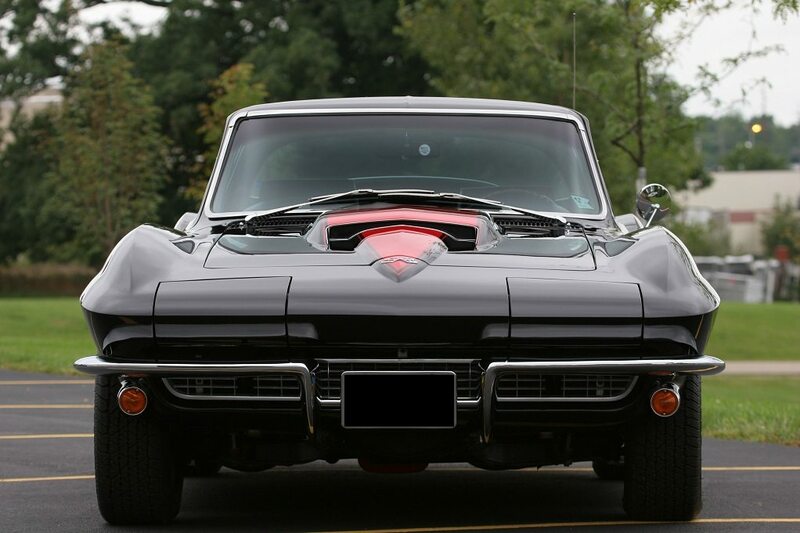 DID YOU KNOW: While there are many unique identifiers that single out any model year of Corvette, the 1967 Sting Ray has a unique identifier to help set it apart – If you know where to look. 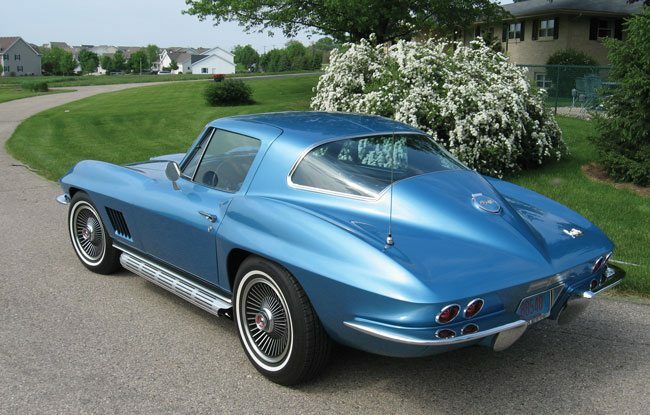 A blue, “GM Mark of Excellence” label was attached to the back of each 1967 Corvette door above the latch. This initiative was the direct result of General Motor’s quality awareness program. Additionally, safety legislation required a modification of the knock off wheel option. For the 1967 model year, the wheels were changed to a bolt on, cast alloy style with a clip on center cap to conceal the lug nuts. 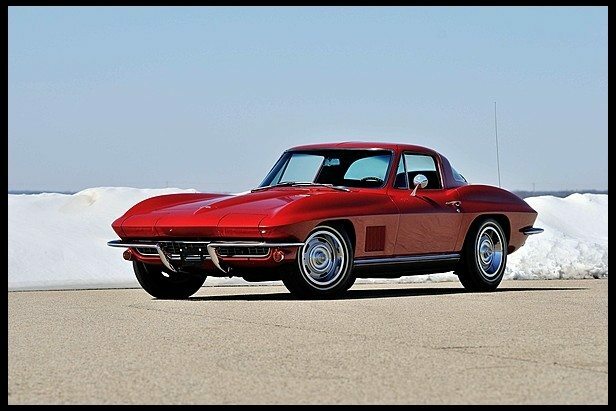 Based on the already impressive L89 engine, Chevrolet decided to introduce the “ultimate” Corvette engine in 1967 by introducing an engine coded with the designation L88. The L88 engine was an immensely powerful production engine, and was about as close to a pure racing engine as any Chevrolet had introduced in a commercial vehicle up to that point in time. The big-block engine featured weight-saving aluminum cylinder heads mounted atop a standard Mark IV four-bolt iron block. The L88’s crankshaft was specially forged out of 5140 alloy steel, and was then cross-drilled for maximum lubrication and Tuftrided for hardness. 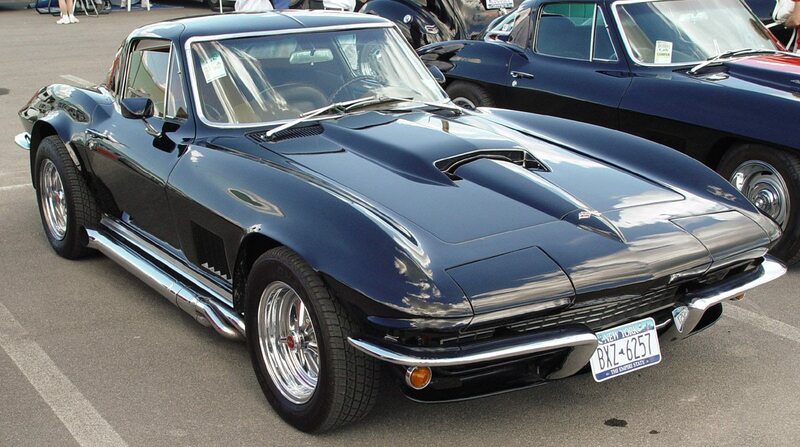 The 1967 Corvette featured an optional 400 or 435 horsepower 427 cubic inch engine. Attached to the crankshaft via Magnafluxed connecting rods were eight forged-aluminum pop-up pistons that produced an air/fuel mixture at a staggering 12.5:1 compression ratio. Although General Motors claimed that it was no longer involved with racing (due to their commitment to support the Automobile Manufacturers Association’s ban on racing), there was no question that all twenty of these special L88 engines were intended for the racetrack. The L88 was yet another of Zora Arkus-Duntov’s unabashed attempts at elevating the Corvette to the stature of a race car, which is where he knew the Sting Ray ultimately belonged. However, when the engine was originally introduced to Corvette in the spring of 1967, the engine didn’t light the racing circuits afire as the L88 had durability problems early on in its career. The engine was prone to overheating and utilized underrated (and inherently weak) connecting rods in the engine’s lower end. Nonetheless, the 1967 L88 equipped Corvette was definitely worth taking notice of, and proved that it had mastered the ability to go fast . At the 24 Hours of LeMans in June, 1967, a Corvette equipped with an L88 actually topped 170 miles per hour on the Mulsanne Straight before a connecting rod failed, thereby ending Corvette’s chance for a victory at the 24 hour race. Of course, ordering the L88 production option meant more than just placing an order for an engine. When equipped with the L88 427 Corvette engine, the build also called for blank covers to replace both the AM/FM radio controls and the heating/cooling controls normally found in the center console of a ’67 Corvette’s dashboard. In fact, ordering the big-block 427 also meant the mandatory elimination of a radio head and power windows, as well as the elimination of a convenient automatic engine choke – though Chevrolet did have a retrofit hand-choke kit available for those drivers that could not get along without it. 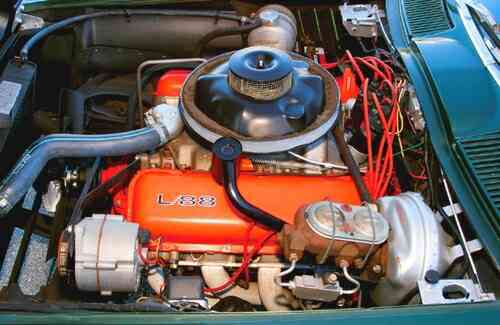 The L88 Engine was the closest to a pure racing engine ever produced to be installed in a production model Corvette. In addition to the removal of some of the car’s creature comforts, other notable absences could be found under the hood. First, the fan shroud (which aids in engine cooling) was absent, as was any semblance of an emissions controls system. There was no PCV (Positive Crankcase Ventilation) valve, but rather an obsolete road-draft tube that vented crankcase vapors directly into the atmosphere through the driver’s side valve cover. What was left instead was an impressive engine that was as perfectly suited to run on the racetrack. 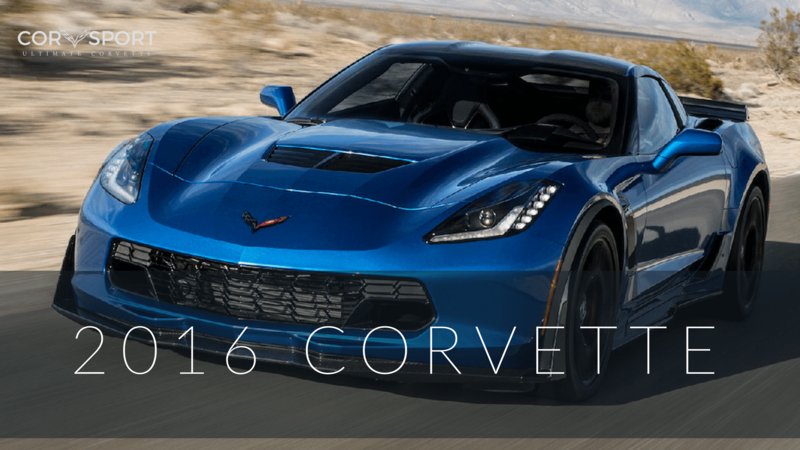 If ever an off-road engine option had been developed for the Corvette, this was it. 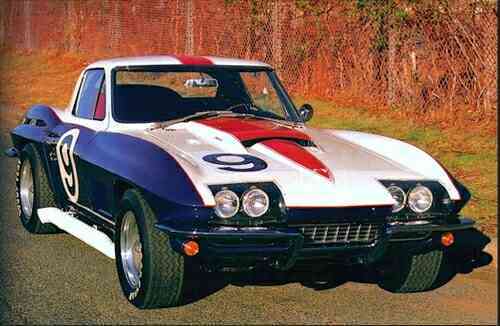 Ultimately, sales of the L88 equipped Corvette were limited to a mere 20 units. While the car was immensely powerful, it was also an extremely expensive option. 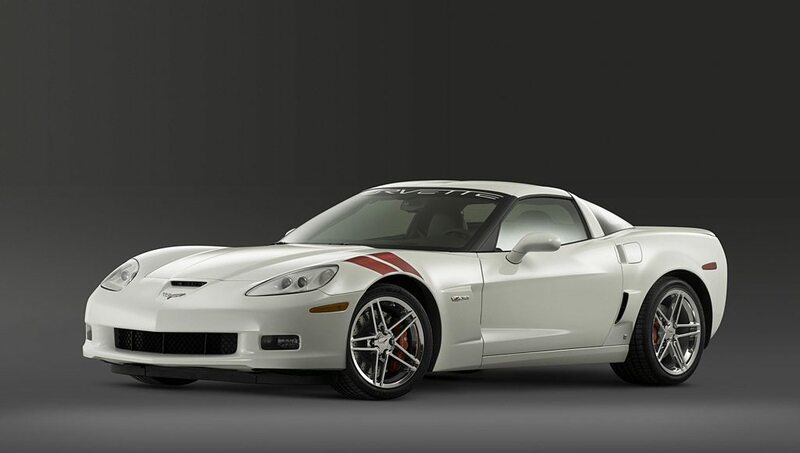 At an additional $1,500 over the base price of $4,240.75, the sticker shock proved too expensive for most enthusiasts, which was okay with GM since they had always felt that the L88 Corvette belonged on the racetrack. 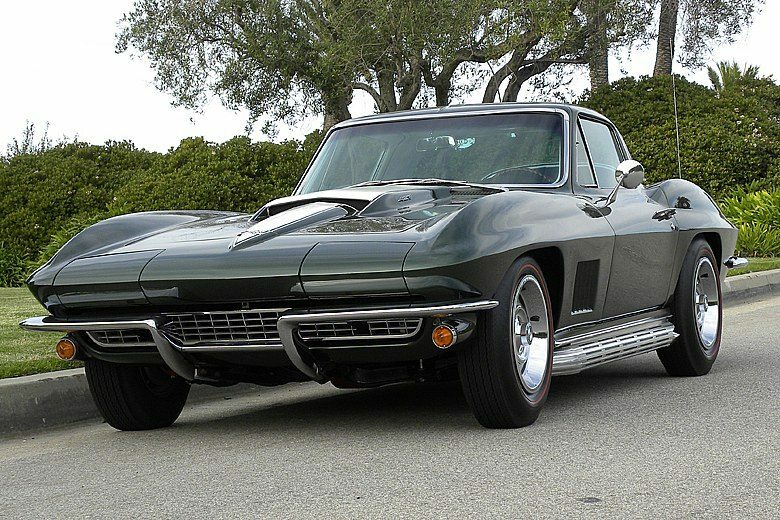 As a whole, sales of the 1967 Corvette Sting Ray were down from earlier models. 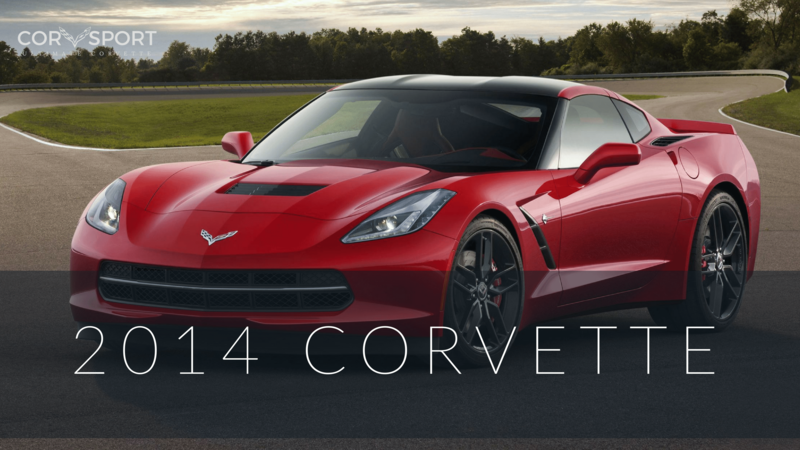 GM attributed most of the sales lag as a bi-product of the anticipated arrival of the Corvette’s overdue redesign. 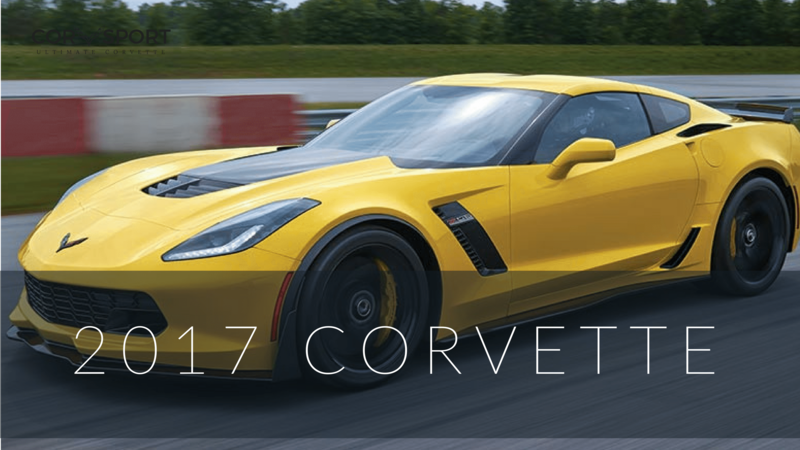 With a third generation Corvette just around the corner, the final year of the C2 Corvette still produced respectable sales numbers. In total, 22,940 units were sold, which was down over 5,000 units from the 1966 sales numbers, with the convertible accounting for nearly two-thirds of all sales with an impressive 14,436 units sold to the coupe’s meager 8,504 units. 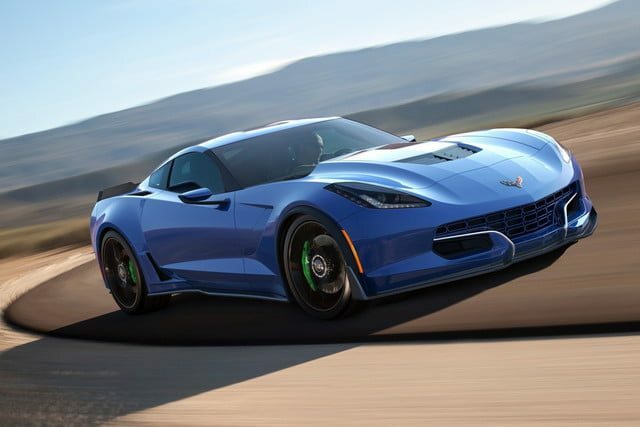 Even as the sales numbers began to reach an end for the C2 Corvette, Chevrolet was ramping up for the introduction of its next-generation Corvette. 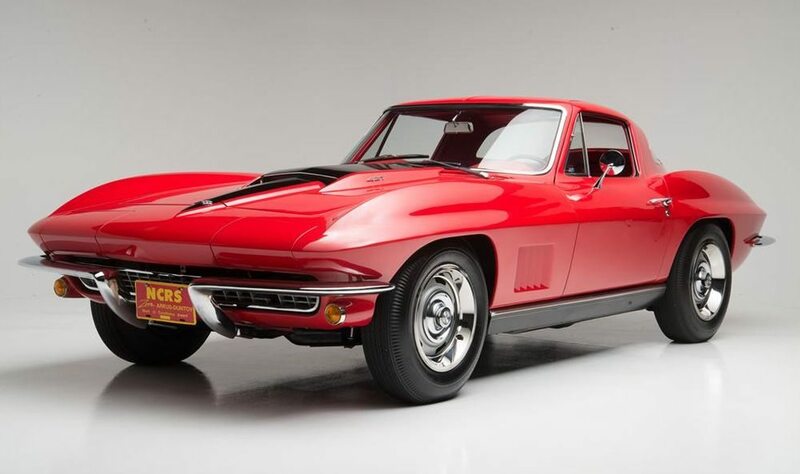 While the introduction of the C3 Corvette would include the dis-continuation of the Sting Ray designation (an absence that was more than five years in the making,) the new Corvette would continue to retain a marine-based designation, though this time as a nickname. 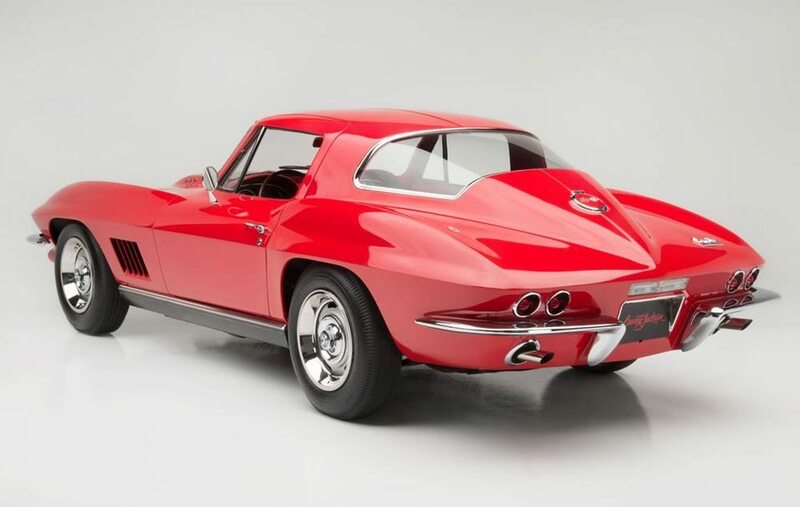 As 1968 approached, General Motors was about to unveil the “Shark”, and its unveiling would usher in another challenging era for both the Corvette and late-1960’s America. CONSTRUCTION: Fiberglass Reinforced Plastic (FRP or “fiberglass”) body, all welded, full length, ladder construction frame with 5 cross-members. Front section flat;rear section contoured over rear axle. Side-rails and intermediate cross members box construction. Rear crossmember “C” shaped; front crossmember concave for engine clearance. Type and Description: Independent coil spring spherical joint suspension with concentric springs and shock absorbers between upper and lower control arms. Built-in anti-dive control and rubber-bushed link-type stabilizer bar. Quiet, low-friction non-metallic spherical joint liners. Spherical joints protected by special positive-sealing formed-rubber boots. Spring Rate (lb. per in.) 195 lb. per in. Rate at Wheel (lb. per in.) 80 lb. per in. Design Load 1340 lb. @ 9.98 in. Type and Description: Independent rear suspension with frame-mounted differential unit, double universal jointed tubular axles, and transverse multi-leaf spring. Differential carrier is mounted to frame by rubber-isolated with hardened and tempered chrome carbon steel leaves bolts solidly to differential carrier and attaches to radius arms with rubber-isolated floating rods. Suspension design permits to function as springing member only. Lateral and longitudinal forces imposed by braking, acceleration, and cornering are absorbed by frame-mounted fixed differential and suspension control arms. The last six digits begin at 100001 and run thru 122940, accounting for all 22,940 Corvette Coupes/Convertibles built in 1967. 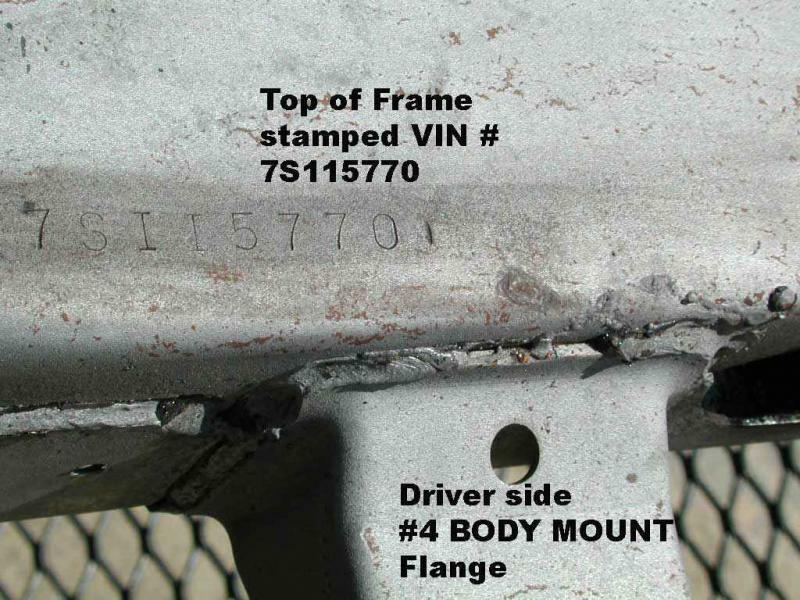 Each Vehicle Identification Number (VIN) is unique to an individual car. 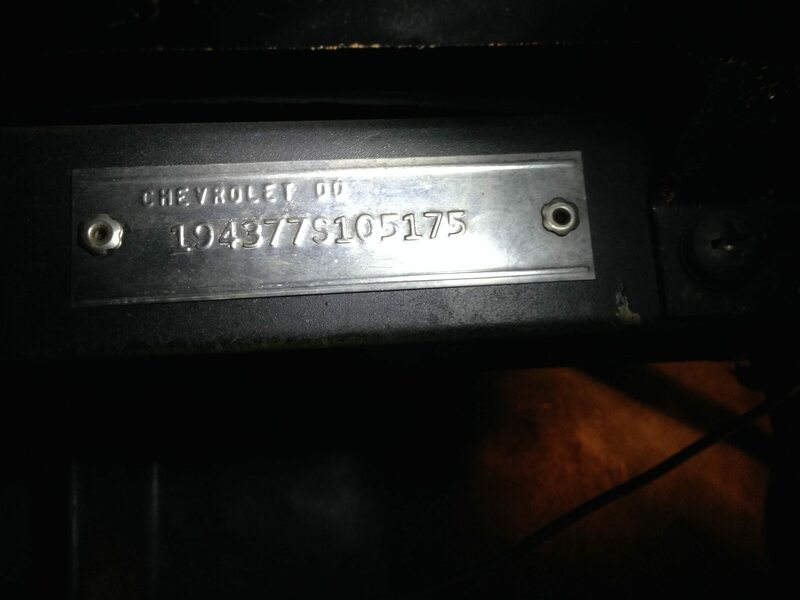 For all 1967 Corvettes, the location of the Vehicle Identification Number (VIN), body style, body number trim and paint combination can be found on the instrument panel brace under the glove box. 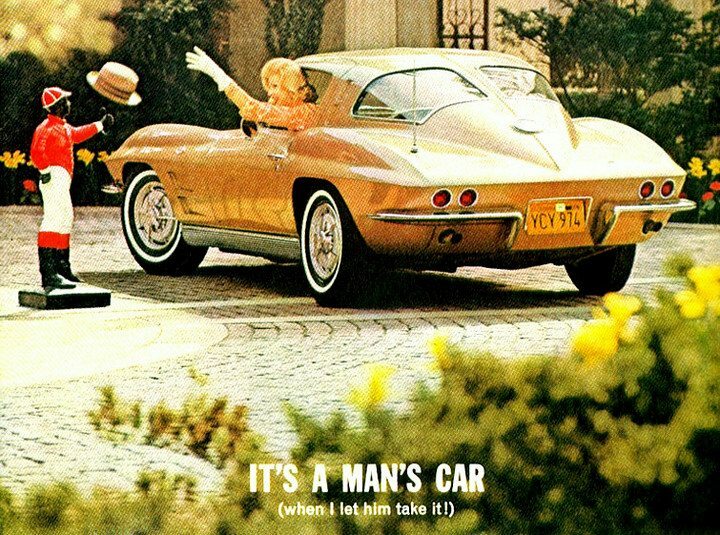 The base price of the 1967 Chevrolet Corvette Coupe without any optional equipment. A 327 cubic inch, 300 horsepower engine, a 3-speed manual transmission, and a vinyl interior were included in the base price. 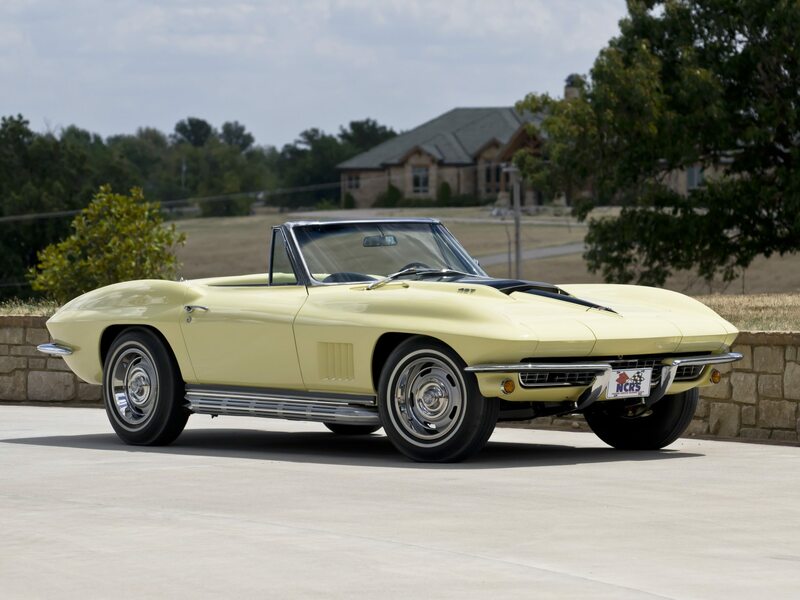 The base price of the 1967 Corvette Convertible without any optional equipment. A 327 cubic inch, 300 horsepower engine, a 3-speed manual transmission, a vinyl interior, and a soft top were included in the base price. Optional leather upgrade to replace the standard vinyl seats on the 1967 Corvette. Originally manufactured by Libby-Owens-Ford (LOF) the glass plate was specially etched with the LOF logo and date code. It also included the words “Soft-Ray” or “Soft-Ray Tinted” in the etching. Soft-ray is factory manufactured window tint. Soft-ray tint is a bluish-green in color. Of the 6,880 Corvette convertibles sold that included this option, 895 Corvettes had the removable hard top installed in place of the factory installed soft top. 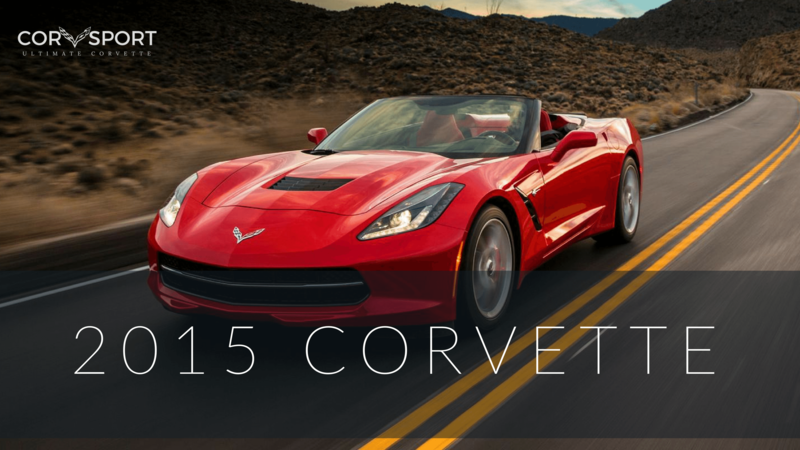 Corvettes that included this option were generally built for racing and rally driving. An optional suspension with upgraded springs, shock absorbers, and stabilizer bar. Includes 3.08, 3.36, 3.55, 3.70, and 4.11 axle ratios. Used to mix fresh air with hot exhaust gases to react with unburned gasoline to reduce emissions. Approved by the state of California and exclusive to California vehicle registration only. Will yield higher spark plug voltage. Will operate at extremely high speeds without losing ignition performance. 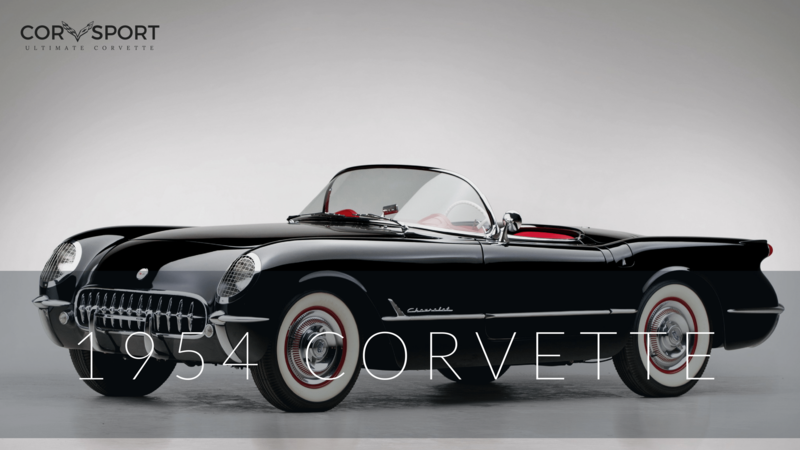 Of the 2,324 Corvettes that were ordered with this option, the quantity was split with 1,725 Corvettes that came equipped with a 300 horsepower engine, 392 with a 390 horsepower engine, 207 Corvettes with 400hp engines. Larger, optional, 36 gallon fuel tank. The 36 gallon tank was specifically intended for endurance racing. The mufflers include double-wall construction with a special, raised area on the outer shell that conceals the inner seam crease. Originally made of carbon-steel components. An optional radio that gave consumers the option of both AM and FM radio frequency bands. The following list of common issues is intended for individual reference only, and may not reflect the specific issues of every 1967 Corvette. 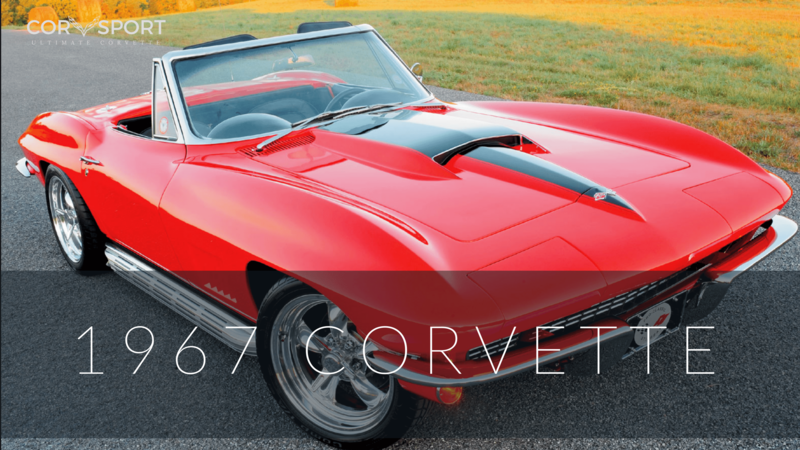 While the intent of this page is to identify the common issues pertaining to the 1967 Corvette, it is not an all-inclusive list and should be used for reference only. There are two common problems that often occur with the headlight motor assembly. First, it is not uncommon for only one of the headlight motor assemblies to open. Second, the headlight assemblies may open in tandem, but they open very slowly, making them virtually non-functional. The cause of these issues are varied, but often occur because of either the failure of the headlight motor drive assemblies, or the misalignment of the transmission mechanism that physically rotates the headlight. In some instances, the headlight switch can also be the cause, and it is recommended that the switch be replaced in addition to other headlight motor mechanical repairs. There are a number of aftermarket parts manufacturers that produce OEM spec headlight motor and transmission assemblies. All C2 Corvettes (1963-1967) have a persistent problem with poor electrical grounds on their tail lights. The original design used speed nuts to hold the ground wire on, and these nuts do not remain tight. The rear suspension utilized a transverse-mounted leaf spring with nine leaves, axle half shafts with U-joints, control arms and tubular shocks. Over time, this setup is known to fail due to normal fatigue. The rear suspension should be checked regularly, especially on vehicles with aging suspension. Mechanical failure of the washer pump assembly is a common issue on both C2 and C3 Corvettes. The washer pump will not disperse washer fluid even though all of the hoses are inspected and properly connected, the washer fluid reservoir is full, and the washer nozzles are lear of debris. When this occurs, it is often the result of a bad washer pump nozzle valve. During normal (proper) operating conditions, the valve receives the washer fluid solution from the reservoir, and then it is forced (via the pump) to spray out through the washer fluid nozzles. The washer pump nozzle valve contains a small rubber diaphragm that can dry out and become brittle with age. It is generally the failure of this internal diaphragm which causes the mechanical failure within the valve itself. 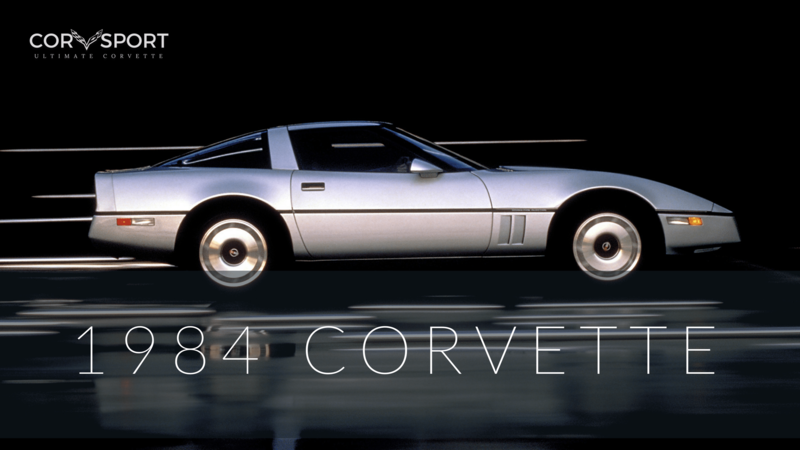 Resistive spark plugs were used in the second-generation Corvettes although they caused degraded engine performance. However, they were used in conjunction with shielded plug wiring to cut down on radio static. 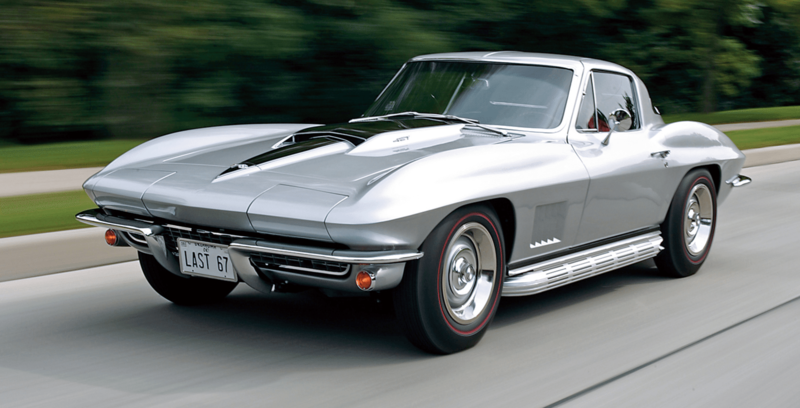 Because the fiberglass body of a Corvette did not provide electrical shielding like a conventional steel body would, radio static was a genuine problem for all of the second-generation Corvettes. Given that the C2 electric headlight assemblies are exposed to weather, they are commonly known to have problems.. The door seals tend to leak fairly regularly, especially the top portion of the door seal. The chassis is one of the C2’s major sources of trouble. The main frame rails are prone to rusting, as is the rear kick-up behind the cabin and in front of the rear wheel. Other areas that are prone to serious fatigue from rusting include: the rear trailing/control arms, the inner “bird cage” metal substructure that supports the fiberglass body panels, the inner door frames, the door pillars, and the cowl area at the base of the windshield. Radiator supports and the gas tank are prone to corrosion. As the result of age or excessive wear, many 1963-1967 Corvettes are known to have sagging floorboards. This problem can sometimes be addressed by carefully raising the sagging floorboard using a floor jack & wooden blocks and then installing two rubber spacers on either side of the tunnel between the crossmember and floorboard where the floorboard is sagging (typically just outboard of the exhaust pipe holes). Within the steering column, there is a turn signal cam assembly that regulates the control of the turn signal lever. As the cam ages, it can stop operating. When this happens, the turn signal level will not return to its neutral position and the turn signal will continue signaling, even after the completion of the intended turn of the steering wheel. While replacement of this cam assembly generally takes a couple hours to complete, it is not a difficult repair to make, though it will require the removal of the steering wheel to access the cam. Check fluid level by removing lowest, outboard side cover retaining screw. If lubricant does not run out add enough through same hole until it does. Check fluid level with engine at normal operating temperature. Bring to full mark on stick, as required. 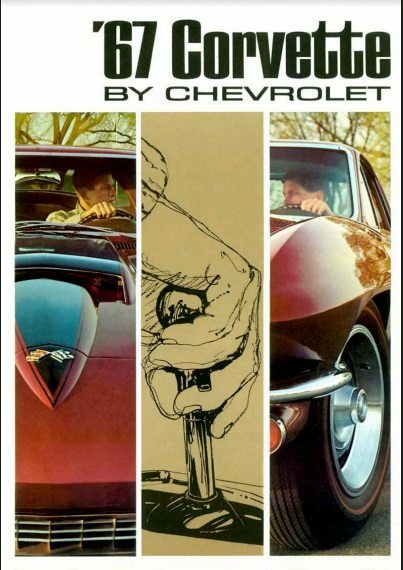 Download this 1967 Corvette Dealers Sales Brochure for a quick look at the features of the car. I have a 67 roadster,327/350 4 speed….I want to reduce the RPM’s, at higher speeds, which will help with noise and heat. Options presented was add 5th gear, change transmission, or just change the gears. I wanted more speed but less energy used, plus better gas millage…any suggestions or other options.